You have definetly caught my eye with this one-so neat looking and a great project right now. What a cute pattern! Thank you for sharing this, and I will be making several for this season. I like the bookmark, thanks for sharing. Thank you your site has been very inspirational. 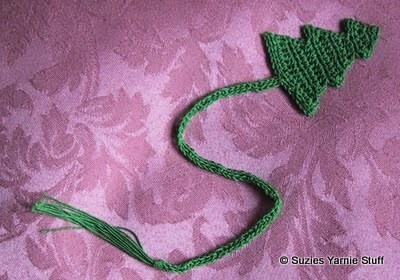 Have been looking for small crochet pieces to put on Xmas Cards. Great stocking stuffer or ornament. I've never heard of using vinegar and water. What's its purpose? The vinegar and water give the item just a little stiffness. Your comment made me smile, warmed my heart.